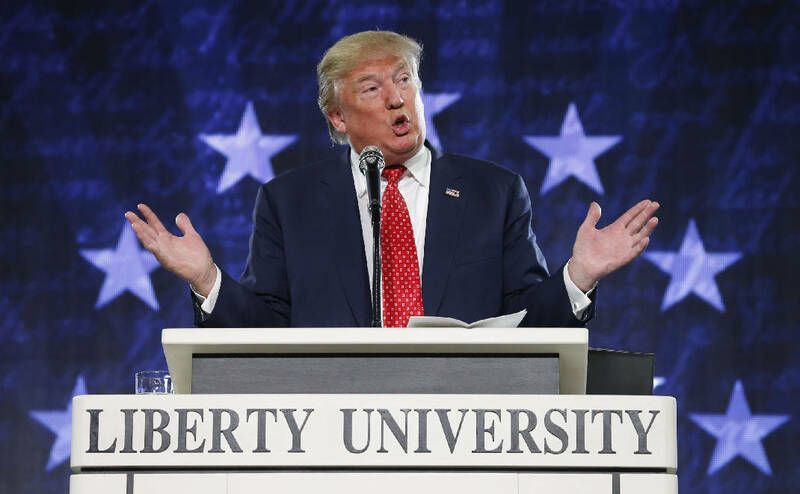 "I will get rid of and totally destroy the Johnson Amendment and allow our representatives of faith to speak freely and without fear of retribution," Trump said at the National Prayer Breakfast, a high-profile event bringing together faith leaders, politicians and dignitaries. Trump's pledge was a nod to his evangelical Christian supporters, who helped power his White House win. So far he has not detailed his plans for doing away with the rule, which he has previously promised to rescind. Named after then-Sen. Lyndon Johnson, the regulation has been in place since 1954 for tax-exempt charities, including churches, though it is very rare for a church to actually be penalized. "Now a church that wants to say no has an easy answer, it's illegal," Mayer said. The president made no mention at the prayer breakfast of other steps he may take, saying only that religious freedom is a "sacred right." Kelly Shackelford, head of First Liberty Institute, a non-profit legal group that specializes in religious freedom cases said that "there's a number of things he laid out that we expect we'll eventually see action on." LGBTQ groups have been anxious that the president could use his executive powers to curb legal advances they have made. Emily Hecht-McGowan, chief policy officer for the Family Equality Council, said that she was "anticipating more to come," noting that some draft documents have been circulating, suggesting plans for a more sweeping order. White House spokesman Sean Spicer said Thursday that "there's nothing new on that front." Trump's Supreme Court pick this week was also considered a positive sign for conservatives. During his remarks, Trump also took a dig at Arnold Schwarzenegger, the new host of "The Apprentice," the reality TV show Trump previously headlined. Trump said that since Schwarzenegger took over, the show's ratings have been down, and he asked the audience to "pray for Arnold." Schwarzenegger tweeted in response that he and Trump should switch jobs and Americans would sleep better.